Size: approx. 40 mm. Photo: 10/06/11, 9 pm. The genus Xanthotype has five species in North America. They are indistinguishable unless a genitalic examination is performed. 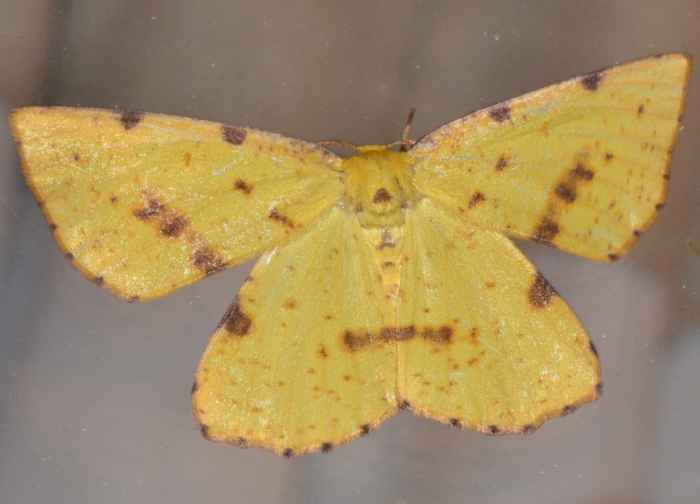 Common names of the species include Crocus and Buttercup Geometer.